so this is something I fear may not be possible with the approach I've taken so far; but what I'm trying to do is graph the speed of change of a value.. In the example I've attached I used a Timelines patch to create a value curve, and it's inside an Iterator to generate a dot graph. 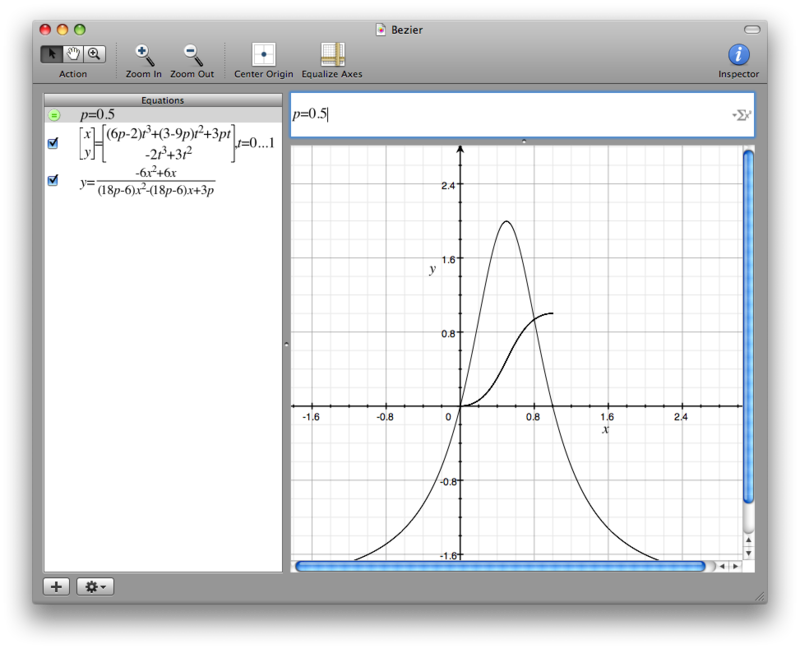 What I'm trying to figure out is how I can get the derivative of this curve: the curve of the slope of this curve. My suggestion is define your curve with a mathematical expression in JS patch (or maths expression patch). Then you can work out your derivative expression off-line and place it in the JS patch (or a second maths expression patch) and feed it the same time based values. NB. JS patch uses Radians and Maths Patch uses Degrees when doing trig. Otherwise you are going to have to estimate 'speed' or derivative over a given period of time by sampling before and after a given event and use the delta in 'Y' over delta in 'X' to find slope or speed at any given value for 'X' where x is the time-based value. yet again I had to spend some time with Wikipedia and remember the math I did in high school! I've been able to write the derivative forms for all the curve types I'm using except bezier. I don't know how to correctly write the derivative of a parametric equation. Have you tried employing following? My maths is too rusty. I tried but it looks wrong check grapher file. Let me know how you went too… I love maths + QC even if I'm lame at maths these days. In the meantime...anyone else who wants to take a stab at it...? Parametric derivatives of a Bezier curve are determined from its control points. but I'm not quite sharp enough to to translate that in to a solution. ...any chance you could put your explanation in those terms?